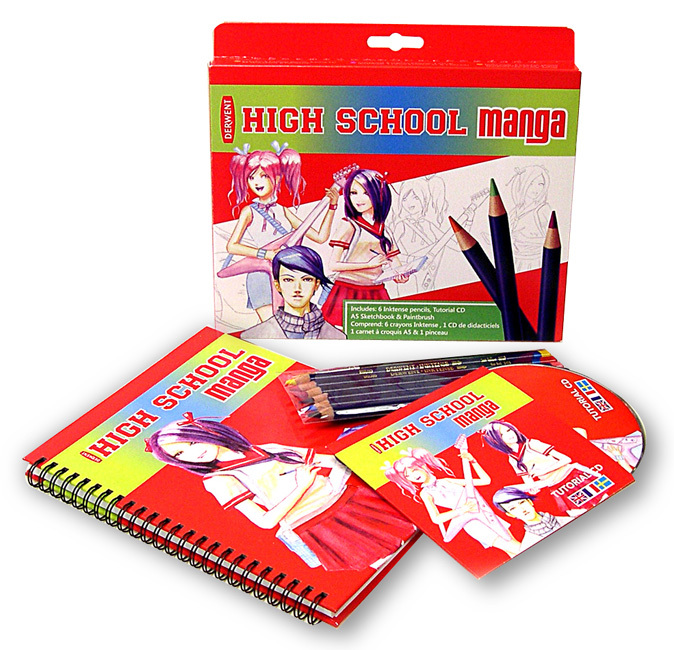 MANGA Drawing Sets with will get you started in learning how to create these amazing action characters and tiny folk. 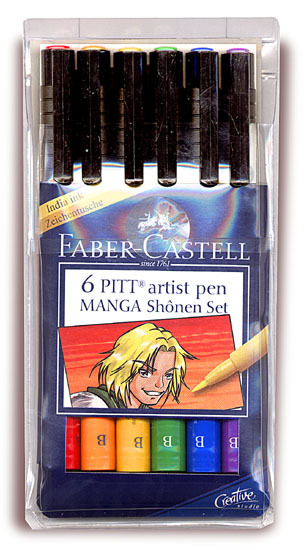 Also ideal for Artists, Cartoonists, Illustrators, Scrapbooking and more. GETTING STARTED MANGA Art Set is an ideal introduction to the creative fun of the Manga Drawing technique. Contains all the essentials in sturdy storage container. Set (A) includes a fully illustrated 28 pg. guide, 3 pre-filled pens, jointed action figure, drawing pencil, sharpener, eraser, sketch pad, stencil and 20 practice sheets. Brush & 25 pg. 5x8" Sketch Book.